Mail Correspondence Address: Cyberlaw Research Unit, Centre For Criminal Justice Studies, University of Leeds, Leeds LS2 9JT, UK. Canada Goose Jackets & Parkas Sale | Up to 70% Off www.iosolutions.org/vip.asp Canada Goose Outlet Store Online Sale, Buy Cheap Canada Goose Parka, Jacket, Coat, Lightweight and Shell For Men & Women with Worldwide Free . Updated - includes Home Office, Retention of Communications Data: Supplemental Regulatory Impact Assessment. "We note that as the Bill is presently drafted, the Code of Practice relating to the retention of communications data will not be subject to any parliamentary procedure. We also have in mind that a Code of Practice may be used as evidence in courts and tribunals, and that a direction given by a Secretary of State may give rise to legal obligations. In the light of these factors, we consider that measures should be put in place to ensure that the Code of Practice and any directions are compatible with the right to respect for private and family life, home and correspondence under Article 8 of the ECHR, and that those measures should be specified, so far as practicable, on the face of the legislation. We accordingly draw these provisions to the attention of each House." the Plenary session of the EU Forum on CyberCrime, Brussels, 27 November 2001. Important questions include: What data need to be retained and for how long? What are the kind of data most often required by law enforcement? In what concrete cases do law enforcement authorities get traffic data from electronic CSPs? Have there been cases where absence of data has led to failure to investigate? Why does mandatory retention pose legal problems with regard the ECHR? Would mandatory transfer of the necessary data to a trusted third party infringe personal data protection ? minor crimes. It will also be available for tax collection and public health and safety purposes. " EFF Chilling Effects of Anti-Terrorism: "National Security" Toll on Freedom of Expression pages. Practice to take this forward, 15 October, 2001.
followed the arrest of one of its instructors on terrorism charges. sharing and the establishment of a EU-wide certificate of arrest for terrorists are also welcome. The Straw interview with Sue MacGregor on the BBC Today Programme, 28 September, 2001.
have passed through the UK on their way to the US. terrorism, said: ?he Regulation of Investigatory Powers Bill was the right law to pass at the time on the evidence available. lead me to believe that many of the powers that have not been used in the past are at last being used to good effect. Philip Zimmermann, No Regrets About Developing PGP, 24 September, 2001. "....strong cryptography does more good for a democratic society than harm, even if it can be used by terrorists." of personal data and the law enforcement authorities' need to gain access to data for the purposes of criminal investigations. U.K. Asks Phone Companies, ISPs To Retain Communications Data By B Mitchener, The Wall Street Journal, 14 September, 2001. British authorities, in a dragnet against terrorism, Thursday asked telephone companies and ISPs in the country to retain all communications-traffic data for the next month. The National High-Tech Crime Unit issued the request under the UK's Data Protection Act, which normally prohibits companies from keeping such data any longer than is needed for billing purposes. The request falls well short of a nationwide wiretap, but it represents an unusually broad step in anticipation of a request for assistance from law-enforcement authorities in the United States and elsewhere. "It's precautionary," says Tony Hutchings, intelligence team leader of the London-based, multi-agency crime unit. "If the data's gone by the time we get the request in, we can't do anything about it." The data that the government wants kept consist of details of communications -- numbers dialed, duration of calls, and Internet Protocol addresses kept by ISPs, for example -- not the actual content of the communications. IP addresses, which are the codes computers use to communicate with one another over the Internet, often aren't kept for billing purposes. But they can give law-enforcement authorities valuable clues into the whereabouts and conversation partners of suspected criminals. Under U.K. law, the government can't legally require telephone companies and ISPs to retain the communications data, but companies generally comply if the government justifies its request in terms of legitimate needs, such as the apprehension and prosecution of people who commit serious crimes. Mr. Hutchings said his agency had justified its claims in accordance with the law. 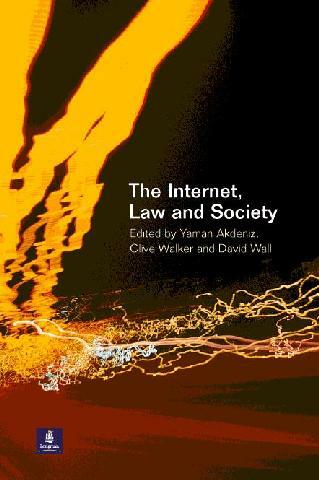 (Published in this format with permission from Sweet & Maxwell, the publishers of the Criminal Law Review).